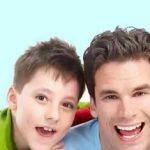 Easy Ways To Take Care For Your Teeth At Home? There are usually many of the affordable ways which are proved to be helpful to care for your teeth. So, here are given some of the natural as well as easy ways of taking care of your teeth. Taking care of your teeth is mainly considered to be one of the single most preventative measures which you can take for yourself. Poor oral health can lead to many of the health conditions such as facial pain, gum disease, infection of the mouth as well as more serious health problems like heart disease, stroke, kidney disease, and irritable bowel syndrome, oral cancer and also diabetes. It is according to the ADA that about 50% of the Americans usually do not go to the dentist because of money, fear as well as belief that their mouths are healthy. Your entire body is generally involved in a healthy mouth. Also, your body needs some fat-soluble minerals as well as vitamins in order to keep your mouth healthy. The body is also supported as a whole by these vitamins and minerals. It also creates saliva which is more mineral rich and it is used by our body for protecting your teeth. Saliva is the thing which the body uses in order to protect your teeth. Also, the teeth are remineralized as your saliva usually washes over your teeth on a practical level. But, sometimes, the saliva will generally lack the minerals which are needed in order to strengthen as well as protect your teeth. Along with that, it is also very much important to watch your diet and it should be a balanced diet of vegetables, fruits, dairy as well as meats which provides you with all the essential nutrients required by you as well as your teeth. Your teeth generally become healthy as well as strong with the help of apples, carrots, celery sticks and also peppers. Usage of the sesame seeds as an oral scrub can prove to be much help as it helps in the gentle removal of tartar as well as plaque and also does not contribute to damage your teeth. Every dentist suggests that the brushing routine is considered to be very much important for your overall oral health. It is required to brush your teeth at least twice a day. In case if it is properly done then the brushing should preferably take a time of about 2 minutes. You need to set a timer for about 2 minutes which will preferably help in the effective brushing of your teeth for the appropriate time period. In these days, there are a lot of controversies over flossing. It has been generally said that the flossing is considered to the most important thing which can help to protect both your gums as well as teeth. But, many of the people are not aware of that fact that how to do it correctly and so, it is required to help them understand the proper way of flossing. Lastly, you need to drink a lot of water which will preferably help your teeth to be protected. If you still have any dental problem then book your appointment today for availing 24/7 dentists Melbourne and that too at affordable cost. Afterhours Dentists Melbourne appointments are also available.